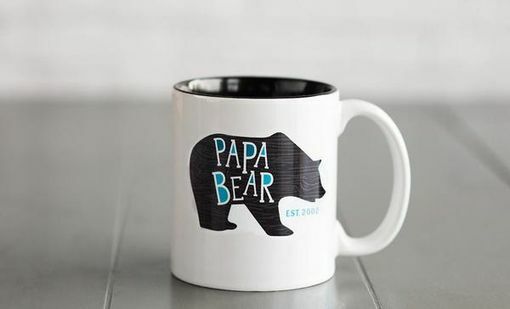 Make sure you are Dad's favorite by giving him a personalized gift for Father's Day. 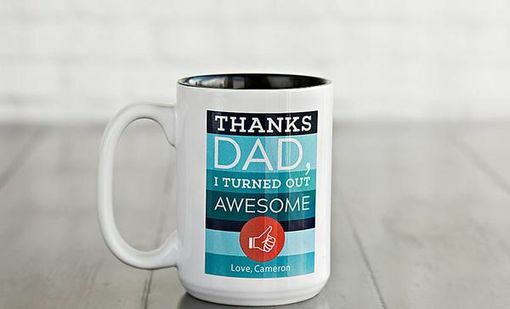 He'll think of you every time he uses your mug created just for him! 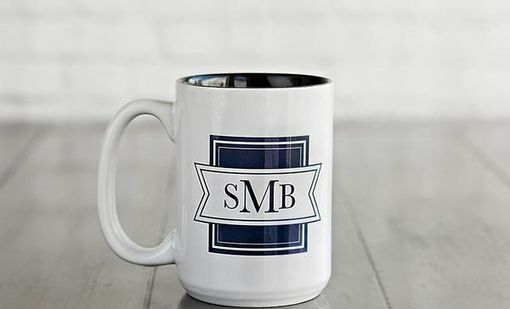 These high-quality porcelain mugs will contain a full 11 ounces of his favorite beverage and feature a stylish and attractive black interior. 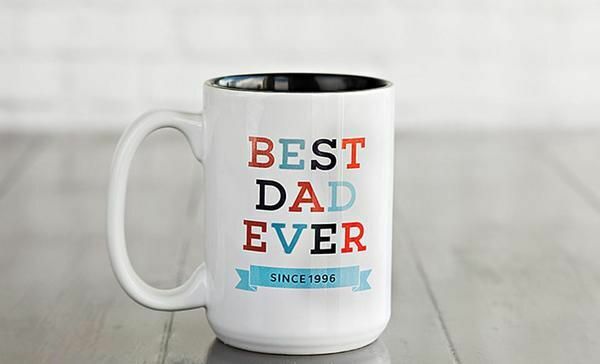 Simply add your name, your dad's initials, or the year he became a father (depending on the design you select) and we will do the rest. 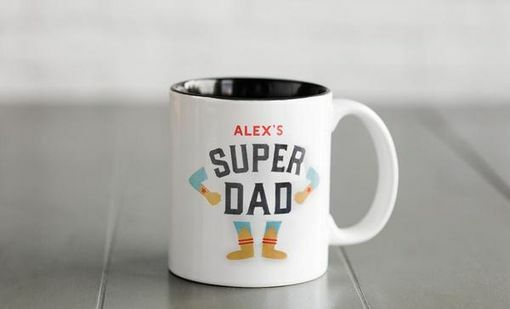 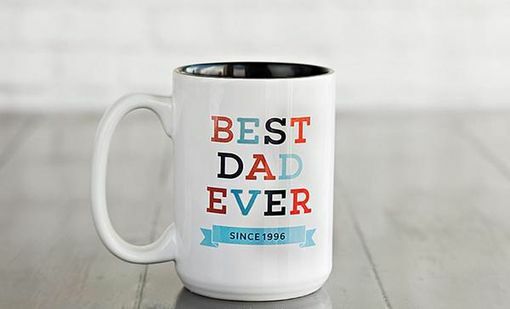 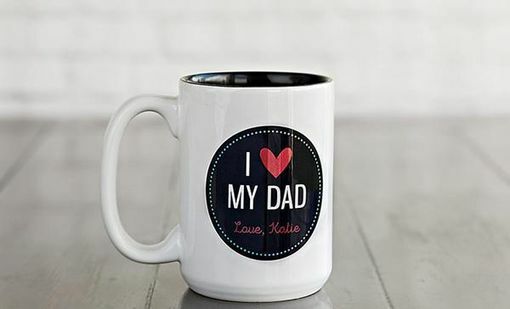 Make Dad feel like the king of the pack with his own special mug!